RAM Trucks, in a promotional partnership with 20th Century Fox, have release the first featurette for A Good Day to Die Hard, the fifth film in the lucrative Die Hard action franchise. 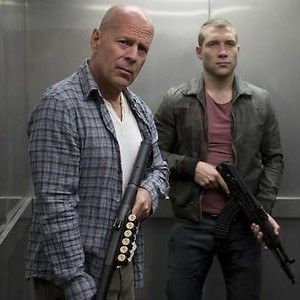 This behind-the-scenes look at the February release focuses on new character Jack McClane (Jai Courtney), John McClane's (Bruce Willis) estranged son. The two accidentally bump into each other in Moscow, where a terrorist threatens to collapse the entire world infrastructure. Watch and learn just how this could happen to the same guy five times, while also learning more about his strong-willed offspring.